You know the statistic: your body is 75 percent water. So you try to carry a water bottle with you every day and drink water at meals. But just drinking more water is not the answer for keeping you well-hydrated. Two little organs hold the key. If you experience high stress levels on a regular basis, you will weaken your adrenals and dehydrate your body. Correcting dehydration and reversing its symptoms are not as simple as how much water you consume. Dehydration can be a sign of adrenal fatigue. 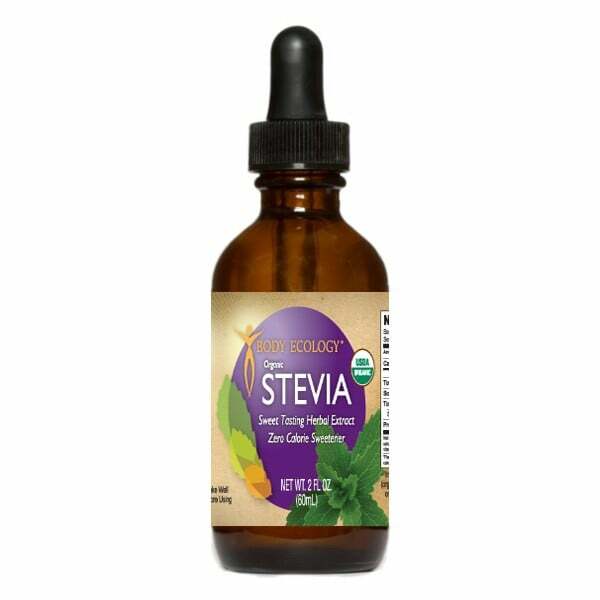 Mix Stevia Liquid Concentrate with water and lemon or lime juice to create your own delicious, refreshing flavored water that is alkalizing to your body. Your adrenals are also responsible for regulating your stress response. Stress is so common today that it has become chronic for most people, creating a state of adrenal fatigue. When your body is stressed, more aldosterone and sodium circulate in your system. Once the stress is over, aldosterone levels fall and sodium must leave your bloodstream. The sodium passes through your kidneys and exits your body as urine, taking water with it. If you experience high stress levels on a regular basis, you will weaken your adrenals and dehydrate your body. And even if you drink a lot of water, you may not be getting the hydration you need. If you want to feel more energetic and improve your health, then you need to nourish your adrenals to improve hydration. Drink half your body weight in ounces of water daily. If you weigh 200 lbs. then drink 100 ounces of water each day. That translates to 3 - 4 quarts per day or one gallon. Sip water slowly, 2 to 3 ounces at a time, throughout the day. If you drink too fast, you risk diluting your blood, which may cause faster excretion of water by the kidneys. Drink only 2 to 4 ounces of water with meals, or you may dilute the gastric juices that digest your food. A small amount of liquid, especially if it is hot (like soup) or fermented (like any of Body Ecology's Probiotic liquids including CocoBiotic and Innergybiotic or the juice of cultured veggies) will actually aid in digestion of your meal. After you exercise, make sure you replace lost fluids with water. Make your own flavored water with lemon or lime juice and Stevia that can alkalinize your body. Avoid coffee, soda pop, and alcohol. These beverages are very dehydrating and act as diuretics. They cause your kidneys to excrete pure water without ridding your body of any toxins. Again, probiotic liquids to the rescue. Replace soda pop with healing, bubbly probiotic liquids. Combine them with sparkling mineral water and a few drops of stevia and you have a delightful soda pop replacement that will give you energy AND provide your body with microflora and minerals. Use a good water filter. Try to avoid distilled or reverse osmosis water because most of the minerals are removed in those processes. If you do have a reverse osmosis filter add minerals. Fulvic minerals or liquid magnesium are excellent additions. If you live in a dry climate, be sure to drink before you get thirsty. Your body may not show signs of dehydration in dry climates. Be sure to control your blood sugar level. Elevated blood sugar causes osmotic diuresis, where the sugar exits through your kidneys and carries water out with it into the urine. As a result, your kidneys are unable to reabsorb the water. Body Ecology once again provides you with an excellent solution. Fermented foods and beverages that are naturally sour take away cravings for sugars. You'll find yourself feeling quite satisfied with the natural sugars in foods like carrots and fruit. Keep your blood alkaline. A diet high in sugar, processed foods and animal proteins and taking over-the-counter and prescription drugs can make your blood more acidic. This condition leaches minerals from your body and weakens your adrenals. Including Vitality SuperGreen mixed with filtered water is a great way to alkalinize your blood and hydrate, especially first thing in the morning. Take care of stress and get a good night's sleep. Sleep nourishes your adrenals and allows your body to repair itself. We all need adequate amounts of water to live, and we need strong adrenals to keep our fluid and mineral levels stable. If you're drinking a lot of water without feeling hydrated, or if you are experiencing symptoms of adrenal fatigue, start nourishing your adrenals now. Drinking high quality water is only part of the equation. 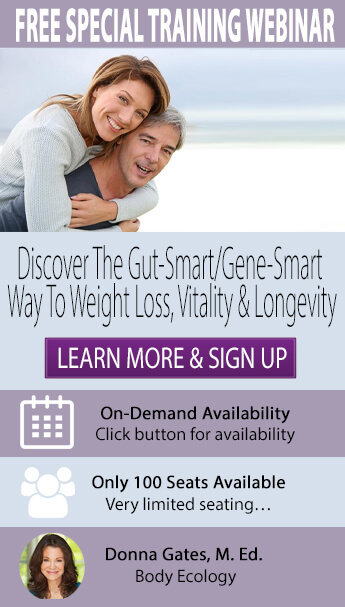 Following The Body Ecology program, with its great-tasting foods and its 7 healthy-eating principles, will help you restore your adrenals with essential minerals and hydrate your entire body for a longer, healthier life. So many of us don’t realize that dehydration can be a symptom of adrenal fatigue, along with sugar and salt cravings, difficulty sleeping, difficulty relaxing, and general exhaustion. The adrenals are responsible for regulating the stress response in the body, but unfortunately, stress has become so prevalent today that dehydration caused by weak adrenals is commonplace. Drink half your body weight in ounces of water each day. Sip water slowly throughout the day, 2 to 3 ounces at a time. Drink only 2 to 4 ounces of water at meals to avoid diluting gastric juices. Sipping fermented liquids, like CocoBiotic and Innergybiotic or the juice of cultured veggies, can help to improve digestion while eating. Replace lost fluids from exercise with plenty of water. Make your own delicious, alkalizing flavored water by mixing in lemon or lime juice and Stevia. Avoid diuretics like coffee, soda, and alcohol. Use a good water filter — distilled or reverse osmosis water filters that remove minerals should be avoided. Taking liquid minerals can help to replenish any minerals lost through reverse osmosis filtration. Drink before you feel thirsty in dry climates. Control your blood sugar levels to avoid osmotic diuresis, where excess sugar and water are flushed out through the kidneys into the urine. Body Ecology fermented foods and beverages can help to naturally reduce sugar cravings. Keep your blood alkaline. Mixing Vitality SuperGreen with filtered water can help to alkalize the blood and hydrate at the same time, especially in the morning. Relieve stress to get a good night’s sleep. Sleep is essential to nourish the adrenals. Riebl, Shaun, et al. The Hydration Equation: Update on Water Balance and Cognitive Performance. ACSMs Health Fit J. 2013 November/December; 17(6): 21–28.